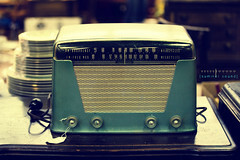 Have you ever listened to the radio and wondered what the name of the song that they are playing? Its happened to me before in the past. I’ve got the radio to my favorite station and out of nowhere this unknown song comes on. The song is great but I never know what it is called. In today’s tutorial you are going to learn how to know the song of most, if not all, songs on the radio. Once you have all of that let me show you how it works. When you want to know the name of the song just power on SoundHound and put your device right next to the speaker. SoundHound then processes the music and looks for related matches. It is spot on, and works phenomenal! Go download SoundHound today and finally know the name of that song you can’t get out of your head. Do you ever want to know the name of the songs on the radio? What do you think of SoundHound? No worries, just go on your Apple device and look it up on the app store. You’re right..these apps are totally spot on! I’m not sure if it was this app or a different one, but my friend used it to cheat at a music trivia game at a bar. And he got every answer correct (including some that no one should ever get right). I think you might be talking about the app Shazam. I was actually going to mention it but the makers of it got greedy and limit how many times you can use it. Hey Edwin!I don’t have an iPhone but I think this app is cool. I do have an android powered devise and I wonder if there’s a comparable product. Do you know? Anyway, thanks for sharing the cool stuff! I HAD to read this post once I came to your blog. This happens to me ALL the time. But, I’m so behind the times with electronic devices that I don’t have any of the ones you mentioned darn it! I really do want an iPad though so that just might have to be my next investment. At least now I know how this all works. You’re a genius!!! Thanks for the compliment Adrienne. It truly means a lot. Hey Edwin, this is great. It drives me crazy when I can’t find out the name of a song I like. Thanks for posting this information. No freaking way. This is the future! I can’t believe there has been technology for this already! I can’t believe it! How do I download SioundHound into my iPhone? Is it expensive? I would love to have this. Edwin, I agree, SoundHound is great. I would love to know how it works so if you feel like doing a techie post about the technology behind the app I would certainly love to read it. It almost seems like magic doesn’t it when you hold it up and it comes back with the song.